So, yous having fun out there, we never get enough here! You's gots snow on your snout! 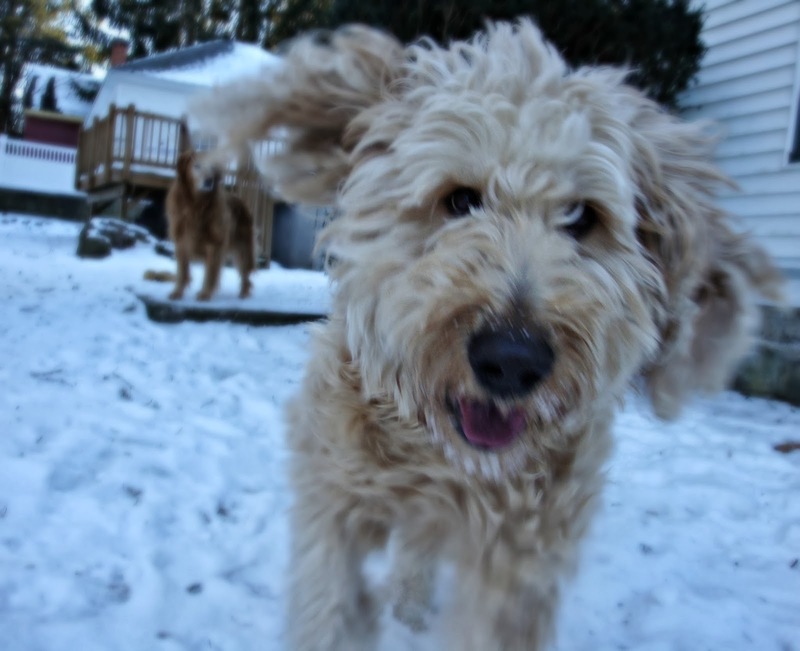 I think almost all dogs love snow! No words needed with that face! Enjoy your snow. Have a tremendous Thursday. You look like you are loving that Murray! It's a Good Day in New York State!